A safe, low-cost, and effective method of training from afar. Matthew Christopher Davis et. al. 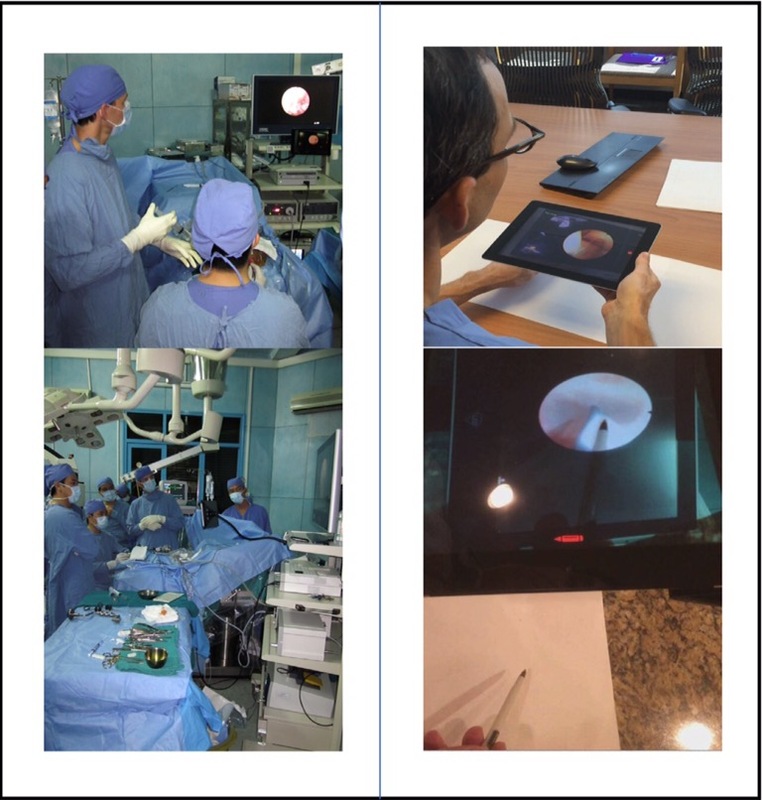 report on using two iPads, 3G cellular service and a simple app to provide two way real-time feedback from Birmingham, Alabama, USA to Ho Chi Minh City, Vietnam during endoscopic third ventriculostomies. This simple solution possesses huge potential to dramatically alter the landscape of training methods in highly technical specialty such as neurosurgery when applied to skill transfer from advanced centers to new centers where expertise is lacking.